22 of the Best Gifts For Bakers! This time of year I get all sorts of questions, usually from really thoughtful significant others eager to buy their baker-loves the best baking present they can for the holidays. It’s so sweet and thoughtful and I can’t help but think that it’s also motivated by their desire for cakes and cookies and the smell of fresh bread in their house. If you’re dating a baker… it’s definitely a hobby you want to encourage with gifts. BOOKS and things: some of the books and magazines I reach for most often in my kitchen these days. 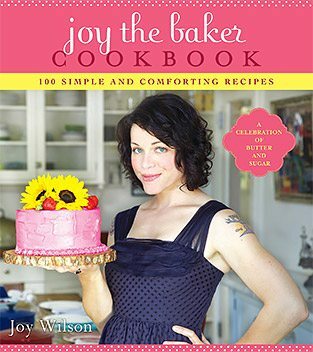 I find all of these books to be great technical and creative recourses for the home baker. • Fearless Baker by Erin McDowell – traditional technique and a pep-talk with just about every solid recipe. It’s a book every baker should have on their shelf. • Layered by Tessa Huff – a beautiful and creative cake book with flavors and frostings I always find myself looking back to. • Sweet Laurel Bakery by Laurel Gallucci and Claire Thomas – a grain free book that uses simple ingredients and techniques. This book also contains my absolute favorite Snickerdoodle Cookie recipe and is worthwhile for that recipe alone! • Sister Pie Cookbook by Lisa Ludwinski – I talk about this book a lot because the pies are so unique (but still live in the land of comfort), the crust technique is gold, and there’s a whole section about handpies and cookies that are both tremendous! • Food52 Genius Desserts by Kristen Miglore – a compilation recipe book with the best of the best recipes from the best of the best bakers and pastry chefs! • A subscription to Cherry Bombe Magazine : beautiful and important stories of women in food. This publication is a POWERHOUSE and if ya don’t know, now ya know. INGREDIENTS: quality ingredients that make baked goods even more delicious and are fancy enough to thoughtfully gift. • My favorite chocolate to bake with comes from Guittard Chocolate. Their chocolate is deliciously creamy, always consistent, and bakes and melts with ease. I especially love their chocolate wafers for cookies and milk chocolate chips for brownies. 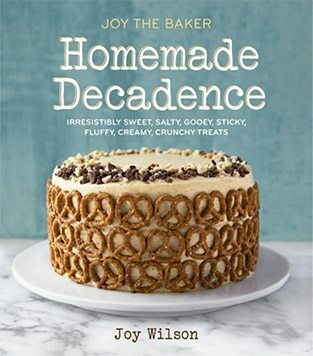 • Amazing baked goods come from really great ingredients and sometimes really great ingredients are a splurge to buy. That’s why super special Vanilla Extract makes an incredible gift. I recently discovered Jones&Co and their vanillas from all over the world. The quality is extraordinary. • Baking is all about balance and I like a good dose of quality salt to balance the sweetness of any baked good. See: Jacobsen Sea Salt. • King Arthur Flour is an incredible recourse for bakers in both online information and quality products. If you’re gifting an adventurous baker, see about these baking sets that include ingredients for a day of baking! Pumpernickel Bagel Recipe Bundle! And just hope you’re on the receiving end of this adventure for a fresh baked bagel! LINENS and such: fancy and functional. • Something every baker covets these days is a Hedley and Bennett Apron. • Somehow, the only oven mitts that keep me from burning myself are full on GLOVES: Ove-Gloves. • Very special and very versatile kitchen towels: Oatmeal Linen Striped Tea Towels. PANS AND SPATULAS AND GEAR: some of my kitchen work horses. • The goal is and always will be a Kitchen Aid Stand Mixer. It’s so hard to choose a color, but be bold. Drake says we’re ‘here for a good time, not for a long time’, and I think he’s right. • Some of my favorite bakeware are these Non-stick GoldTouch pieces from Willian Sonoma. A GoldTouch half sheet pan and rack is something that’s in and out of my oven more than it’s not. It stays nonstick, creates a really lovely browning on the bottom of baked goods, doesn’t buckle easily under the heat of the oven, and it’s easy to clean. This full set is a DREAM if you’re looking to splurge! • If you’re going to gift a pretty standard kitchen tool, it better be as classy as it gets. See: Copper Handle Spatulas. • For cake decorating, a rotating cake stand is an essential luxury. I particularly love this Cake Decorating Stand with a cast iron base. It’s sturdy with classic clean lines. BEYOND BAKING: for the baker who wants to explore beyond the oven. • Bake in the day when I fancied myself a beer-brewing-enthusiast I marveled at the similarities between bread baking and beer making. If you know a baker who wants to experiment, consider a Beer Brewing Starter Kit! FINISHING TOUCHES: a few pretty extras. • Everything looks extra special displayed on a Concrete Cake Stand. • Listen… if it’s good enough for Martha Stewart, it’s good enough for us. Represent in this Bakers Gonna Bake Sweatshirt. • Fancy Sprinkles I especially love their deluxe sprinkle blends. I hope you have the most lovely holiday season. Let me know if you need more gifting suggestions – I love this time of year! Previous Post: « Let It Be Sunday, 198! Ove Gloves are the best! My mom bought me my first set of them 15+ years ago, and I haven’t used an oven mitt since. That concrete cake stand is darling! Hi Joy! Thank you for this incredible list. In regards to the Kitchen Aid Stand Mixer, I was wondering if you had any guidance or opinions on the tilt-head vs the bowl lift options. I’ve heard that the bowl lift version is maybe better with regards to air flow around the bowl when dealing with recipes that involve tempering. Beyond that, do you have a preference? Thank you! Joy, have you ever used vanilla powder instead of extract? I heard about it recently and am super intrigued but haven’t bought any yet. One thing I like to “splurge” on that isn’t really expensive is whole nutmeg. It’s so easy to grate on a microplane and I think it makes an enormous difference. Hi Rebekah, Joy may certainly have more information to offer regarding your question about vanilla powder, but I thought I’d reply with some thoughts in case they are helpful :) I use vanilla powder, paste, and extract for various things. The paste and extract are interchangeable, in my experience. The powder, on the other hand, I find is not flavorful enough on its own and is not something I would use as a 1:1 replacement for extract. So, if I want to give things a good vanilla boost, I’ll do both extract and powder (extract in the quantity the recipe calls for and powder just as much as I feel like adding) using the extract as the base and the powder as a boost. The powder is definitely nice to have and adds those beautiful vanilla bean flecks when you want to see them and additional depth of flavor. Also, I agree about whole nutmeg! I never used to think it mattered, but the flavor is so much better and bonus points for it looking fancy when people see me using it! Joy – As a GF person, I’m super interested in Laurel Bakery’s snickerdoodle recipe. In your experience, do you use the date sugar called for in the recipe? I was thinking of swapping it out with regular and/or brown sugar (date sugar = $$) but wondered how the different sugars would react when baked. Have you found success with a non-date sugar for this? Hi Allison! So the date sugar is used on the outside of the cookie in combination with the cinnamon. I used turbinado sugar – the coarse raw sugar which created a sweet little crunch on the outside of the cookie once they were baked. I didn’t see the need to super splurge on the date sugar since I already splurge on the maple syrup for this recipe. Hi! Can you please tell me where I can find the recipe for the birthday cake looking cookies it looks like you’re making in the picture above? Thank you so much Ms. Joy. I just happen to have that book. Thank you so much for the information and a different way to present these cookies. I totally agree that high quality ingredients are a splurge to buy and make great gifts. I would be delighted if someone got me some terrific vanilla extract of super olive oil. A side benefit is I don’t have to figure out where to permanently store something new because I will definitely use it up:) Nice list! I’ve started a batch of my own vanilla extract and am really curious how it turns out. It said to wait 5-6 weeks before use. That day should be coming up any time now. Great ideas, Joy! Thank you so much! These are lovely – thank you! Do you have a recommendation for good boxes/containers for giving holiday cookies? I’ve gone down a kraft bakery box rabbit hole! Thank you!